The headline above for the latest release from the “Standards Trio”—Keith Jarrett (piano), Gary Peacock (double bass) and Jack DeJohnette (drums)—is worthy of a nod to the title of the classic 1957 album by Thelonious Monk, Brilliant Corners. There is a palpable reverence and the highest level of esteem offered by the audience for a concert by this group. You know that you are about to listen to an arc of extraordinary musical conversations among the artists during the performance. 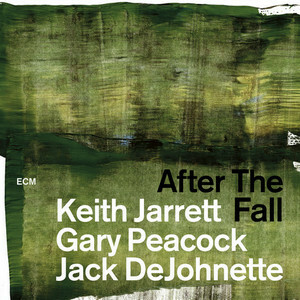 Their new double CD After The Fall, from an “experimental” (according to Jarrett) performance in Newark, NJ, on November 14, 1998, is a ‘must buy’ upon its release on March 2, 2018.